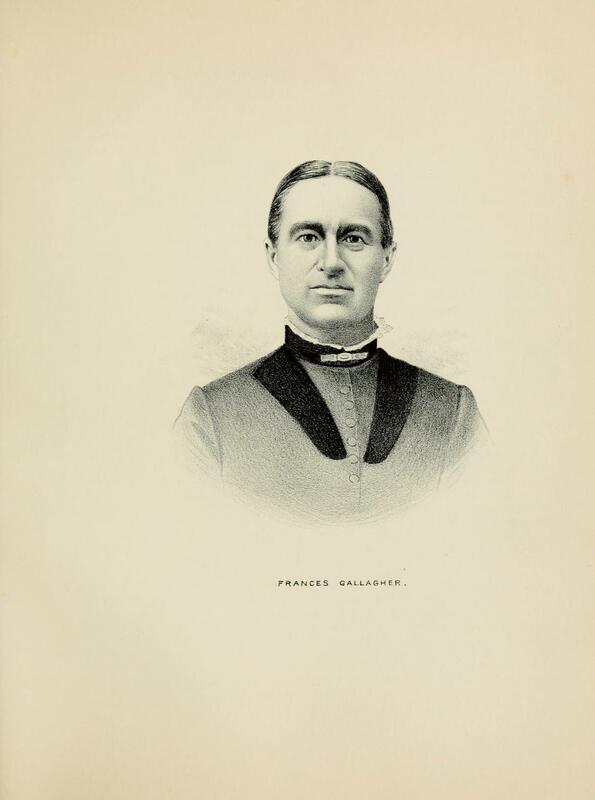 HENRY C. GALLAGHER. The coming into a county in its early days of any family of enterprise, energy and industry, proves in time a great help in the progress of the community. Such a family is that of the Gallaghers, of Shelby County, and the gentleman whose name appears at the head of this sketch is one of that large family, and with his brothers may well occupy a conspicuous place in this Record. The family history is given more at length in the biography of his brother Abram, to which our readers are referred for further minutia. The fine estate of this farmer and stock-raiser is to be seen upon section 27. Holland Township, and its owner was born in this township within three-fourths of a mile of his present residence, August 1, 1843. He is the third in order of age of the large family of ten children born to Jacob and Sarah (Middlesworth) Gallagher, who came to Illinois in 1838 and settled near Shelbyville, where they remained for two years and then came to Holland Township. Our subject has been a resident of the latter township all his life. His infancy was spent on the farm and he received training there and in the district schools which prepared him for taking up life's duties with energy and discretion. The curriculum of study in those pioneer schools was not broad but it was thorough, and the drill was an excellent preparation for the stern realities of life. As soon as he was old enough to undertake duties for himself he began farming independently and has always followed that business. The farm of six hundred and twenty acres of good land bears upon it excellent improvements, and has what is rare in some parts of Illinois, a beautiful grove. Mr. Gallagher has devoted himself largely to the rearing of stock, making hogs a specialty, although he raises a good many horses. The marriage of our subject in 1871 brought to his home a bride in the person of Miss Frances, daughter of William and Elizabeth Westenhaver. This lady was born in Pickaway County, Ohio, February 6, 1843. Her parents came to Illinois in 1858 and located in Holland Township, this county, where they died. Three of their four children are now living. Our subject and his wife have been so happy as to have in their household four children, and still happier in retaining them all in health. They are by name: Jacob E., Addie E., William T. and Alva L., all unmarried and at home with their parents. The estimate in which Mr. Gallagher is held by his fellow-citizens and their respect for his efficiency is abundantly shown by their placing him repeatedly in offices of trust, he has been Assessor, Collector, Township Clerk and School Director, and just now is School Trustee. He also served five years as Clerk. The Democratic party in its declaration brings forward the political doctrines which Mr. Gallagher has ever esteemed as best adapted to the prosperity of the country. He is an active promoter of the movements of this party and takes part in all public affairs. All of his family with the exception of his youngest child are already members of the Methodist Episcopal Church in which they take a deep interest and for whose prosperity they cheerfully labor. He was a member of the Shelbyville Lodge No. 117, I. O. O. F., but living at such a distance from that village prevented regular attendance and he eventually withdrew. 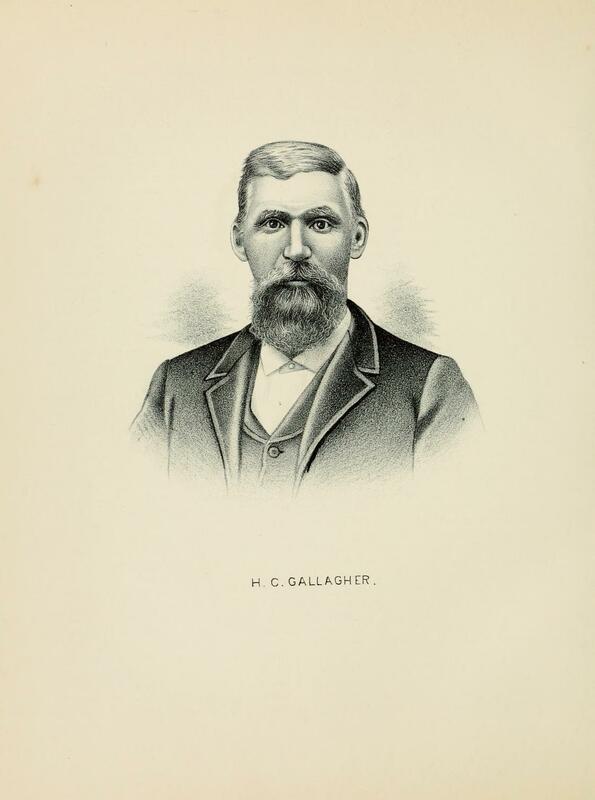 A lithographic portrait of Mr. Gallagher appears on another page. Extracted 12 Jan 2018 by Norma Hass from 1891 Portrait and Biographical Record of Shelby and Moultrie Counties Illinois, pages 406-410.